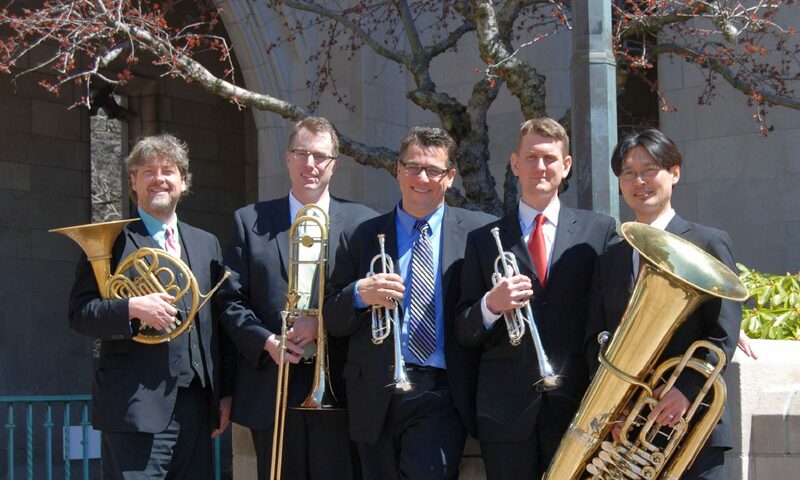 Formed in 1988 at the New England Conservatory of Music, the Majestic Brass Quintet is one of Boston’s oldest and in demand brass chamber ensembles. Known for their bold orchestral approach, they have served as quintet in residence at Trinity Church Wall Street in New York City, Boston University’s Marsh Chapel and Northeastern University. The Majestic Brass Quintet has performed for numerous domestic and foreign dignitaries including President William Jefferson Clinton. Brought together by a shared passion for great music, they have performed in recital throughout the Northeast from Northern Maine to New York City including appearances as part of the Boston Symphony’s Orchestrated Events series, and in venues such as the Emerson Majestic Theater, Saratoga Performing Arts Center, as well as Boston’s Jordan Hall and Symphony Hall. Members of the Majestic Brass Quintet are established veterans of Boston’s classical music scene holding positions in the Boston Philharmonic, Boston Lyric Opera, Boston Modern Orchestra Project and numerous regional orchestras as well as occasional appearances with Boston Symphony and Boston Pops. Majestic Brass can be heard on the Boston Gay Men’s Chorus’ most recent holiday CD “Joy” and Julian Wachner’s Choral Works Volume 2 on NAXOS. Available for recitals and to add elegance to special occasions from Boston, MA to Albany, NY and throughout New England.